ZBrushCore ist die Einstiegsversion in 3D-Sculpting und Modelling von Pixologic. 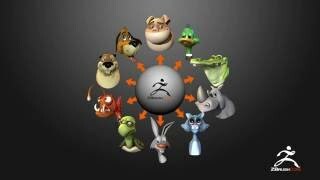 ZBrushCore is exactly what its name implies: The most essential elements of the award winning ZBrush software. It includes everything that you need to get your start and make your mark in the world of digital sculpting and painting. These features are streamlined into a package that is approachable for artists of all experience levels. With ZBrushCore you can sculpt, paint and create nearly anything you might imagine. 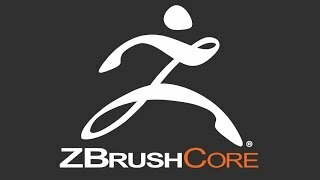 ZBrushCore is for you. Unleash the power of ZBrushCore now! ZBrushCore supports the BPR ZBrush internal rendering as well as ZBrush to KeyShot Bridge (to render in KeyShot). ZBrushCore 2018 also provides the Gizmo 3D with a unique way to rapidly design using simple geometric shapes. Artists can freely adjust the geometry that defines each shape, even after the shape has been applied to the surface. Convert a smooth cylinder to an octagon, adjust a sphere to have flat poles or change a cone into a pyramid - all in real time. Using this system, a few primitives can be turned into an entire library of sculptable shapes. The full version of 3D Print Hub has been added to ZBrushCore 2018. This plugin offers everything youll need for exporting any model for 3D Printing. Find the specific size of any mesh in mm or inches. The 3D Print Hub will allow you to export an OBJ, STL or VRML file. The STL and VRML export options will also support PolyPaint color. Importing an STL file is also supported by 3D Print Hub, including any color data. 64-bit editions of Mac OS 10.8 or newer. Mouse or Wacom (or Wacom compatible) pen tablet. 64-bit editions of Windows Vista or newer.